For the seventh year in a row cafebabel.com the European magazine continues to go ‘on the ground’ with its Europe-wide monthly reporting missions. After the successes of EU Crisis on the ground (2009/ 2010) and Green Europe on the ground (2010/ 2011), we can confirm that for 2011/ 2012, we shall be sending a cafebabel. com editor and four citizen journalists and photographers out to a different European city every month from November 2011 in the framework of ‘MULTIKULTI on the ground'. What a word - that stands for 'Multiculturalism on the ground', folks, as inspired by the German chancellor Angela Merkel’s famous saying this year, ‘MultiKulti is dead’. 'cafebabel.com'' is a citizen media aiming to empower European citizens. Young journalists have the opportunity of experiencing a genuine journalistic experience reporting 'on the ground'. In 2011/ 12 we go 'multikulti', and not just to any city: we usually visit cities where we have welcoming, existed or freshly-created local teams of volunteers and journalists. Once upon a time (well, 2010) in Germany, a chairman on the German Bundesbank, Thilo Sarrazin, published a best-selling anti-Islam book called ‘Germany Abolishes Itself’ (Deutschland schafft sich ab). The next thing you knew, Angela Merkel came out with the statement that ‘multikulti has failed’. The German chancellor was joined by a growing number of political leaders such as English prime minister David Cameron, French president Nicolas Sarkozy and former Spanish prime minister Jose Maria Aznar in her musings. If we believe our politicians, the recent debates over national identity and the rise of right extremist voices in many EU countries, then hi-ho, ‘multikulti’ has indeed come to a dead end in Europe. So what does your average person on the ground say? What issues are overlooked, or underlooked? Where’s the funk in the angle on this story? ...is where our generation comes in – we represent a mobile and open-minded generation trying to break down imaginary walls between cultures. Wasn’t there something about ‘unity in diversity’ somewhere in this game? Scapegoating is no solution. Multiculturalism cannot be blamed for all the problems that Europe has to tackle nowadays; multiculturalism is a fact! Our citizen journalists will concentrate on this mission in articles and photo galleries to be published on cafebabel.com between 2011-2012. How? We are organising a series of ten feature editions and debates with a critical perspective on close-to-the people multiculturalism issues all over Europe. The project will be kicked off in the magnificent Rome between 23-27 November, home of one of cafebabel’s most vintage local teams, and where the first citizen journalist team is going to head. The second mission is slated for Vilnius between 8-11 December 2011. ... watch this space for more cities joining us in 2012! FIVE reporters including one photographer and one Paris HQ editor from the cafebabel.com network are welcomed in a European city by one of these kind cafebabel.com local team. FOUR days is the challenge: arrange interviews, conduct investigations, reveal the ‘multikulti’ character of Europe's cities for later publication on cafebabel.com. Applicants have to be under 35. Only persons residing in a country eligible for the programme will get their travels reimbursed. It is not a matter of nationality but residence: participants can only come from and travel from a country that has chosen to participate in this European programme. Thus, the countries participating in the programme are: member states of the European Union + Croatia, Macedonia/ the former Yugoslav Republic of Macedonia, Albania. 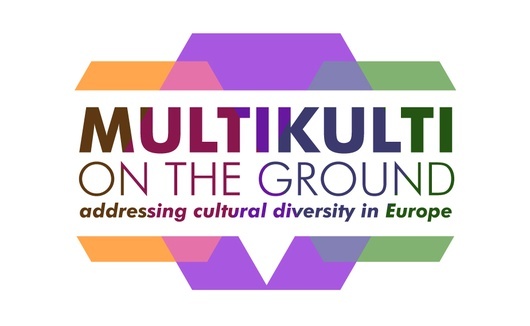 Participants to Multikulti on the Ground will have to live in and travel from those countries. Only serious candidates interested in writing and producing an original, fresh and well-researched article for cafebabel.com need apply with your ideas and thoughts. This project has been funded with support from the European Commission. The Commission cannot be held responsible for any use which may be made of the information contained therein.